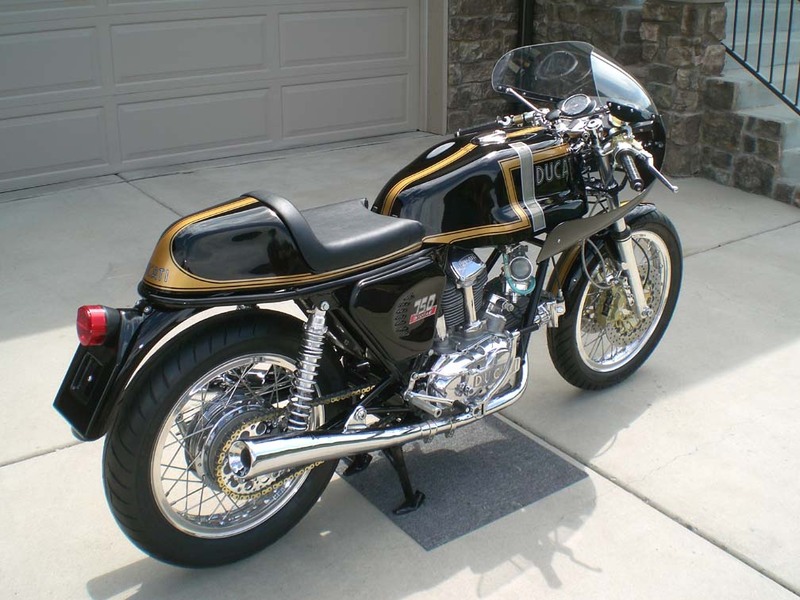 Ducati.ms - The Ultimate Ducati Forum > Ducati Motorcycle Forums > Vintage > tires..... which ones?? Greetings, its almost time to get the GT back on the road after a long rest. 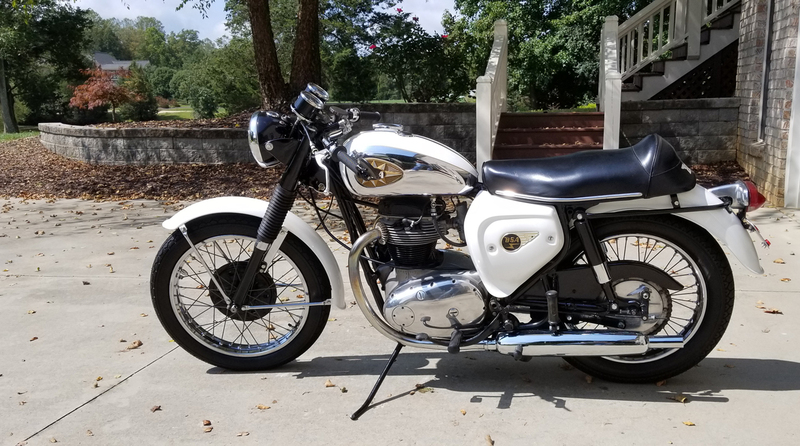 I am open to all suggestions as to what kind of tires to put on the bike now. Is it ok to run tubeless with a tube? Thank You for any help. Right, here is my advice FWIW. I've been running bevels for 45 years and do you know what mod has made the biggest improvement in all that time? Fitting radial tyres. Every time that I go out on my bevel I am amazed at the way the tyres have transformed it - the way that it rolls over on corners, the way that it slices through the corners and the difference in smoothness over the road surface, due to the flex of radials. The tyres are Conti Klassic Attack, and are a bit dearer than other brands, but are supposed to last longer. I wouldn't use anything else. Tubeless are fine with tubes. BTW, you say GT? 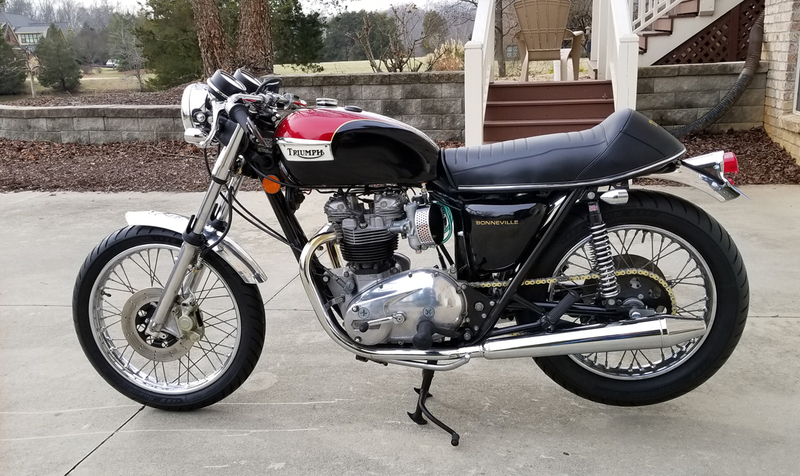 So GT750? Stick with the standard sizes of 90/90 front and 100/90 rear, because the rims are too narrow for wider tyres. I know that some people fit them, but the tyre is then squeezed up and gives a contact patch that is no wider, plus the bigger tyres are heavier. Thank you Duccout, i checked the conti site. they do not show a 90/90-19 frt tire. they do show a 100/90-19. do you know if it will clear the fender stays? after reading your comments re the conti's, i'm really looking forward to the first long ride. thank you for your input. Ah, that's a shame. 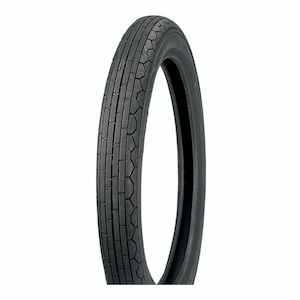 The 90/90 is the equivalent standard size and is right for the rim width. I have used a 100/90 on my 750 and it was tight next to the stays. A lot of people do use the 100/90 on 750's. 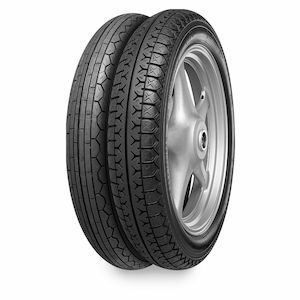 Different makes of tyres come in at different widths, so you may be ok. The front Conti tyre on my 900 which has WM3 2.15 front rim measures 97mm across, so your GT has a WM2 1.85 rim that will give a narrower width, but I don't know how much. Decisions, decisions. 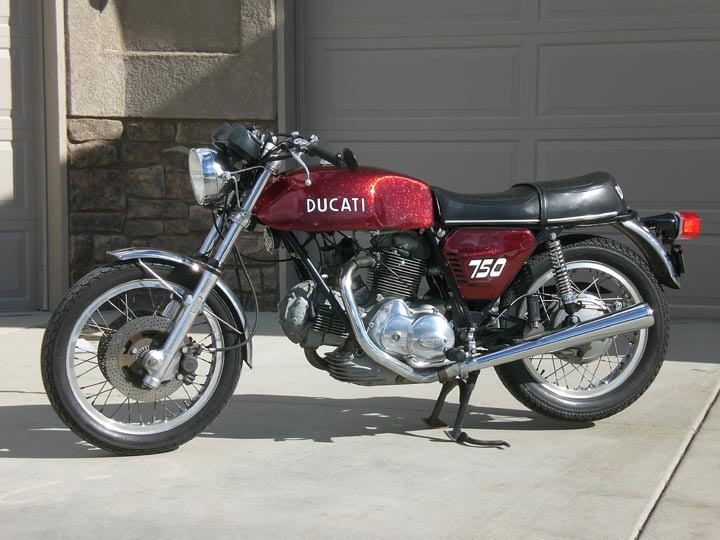 I'm soon going to be looking for tires for my vintage Ducati single restorations - A cursory exploration has found nothing for the smaller bikes. Good luck with your search. The Michelin Pilot Activ is pretty much all I run on the old bikes, sticky compound with excellent turn in and not the worst in the rain either. I have a set on my 900SSD and the R75/5.